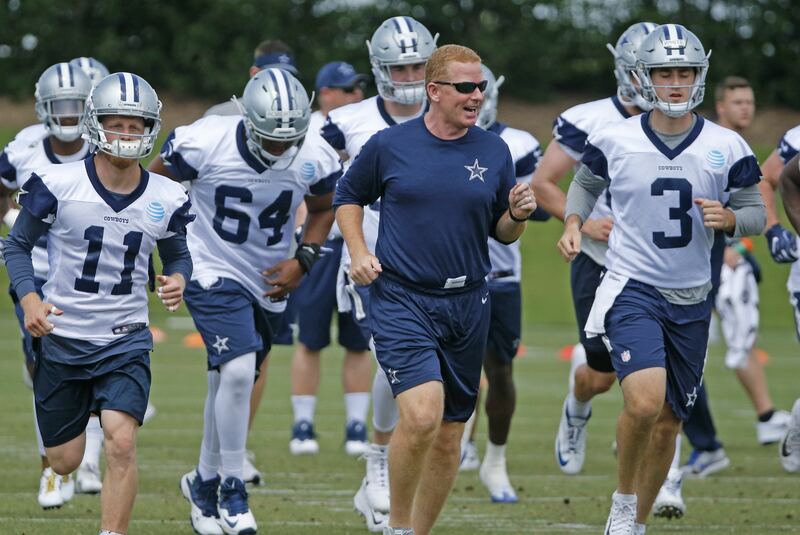 Although the Dallas Cowboys may be giving us a slight taste of the 2018 football season with their ongoing OTAs at The Star, the NFL is still very much in offseason mode. The period to acquire talent may be long gone with both free agency and the draft in the rear view mirror, but 90-man rosters continue to churn. As the Cowboys evaluate their strengths and weaknesses as a team that's gone through major changes on offense, it's no surprise to see Bleacher Report's Kristopher Knox's to-do list for Dallas feature four talking points on this side of the ball. Let's take a closer look at what the Cowboys should be working through prior to training camp in Oxnard. 1. "Identify Top Receiving Targets"
Yawn. This topic is not going away anytime soon, and for good reason. The Cowboys performance on offense -- relative to the talent they still fielded -- was undoubtedly poor a season ago. It was the main point of regression for a 9-7 team that fell short of the playoffs. 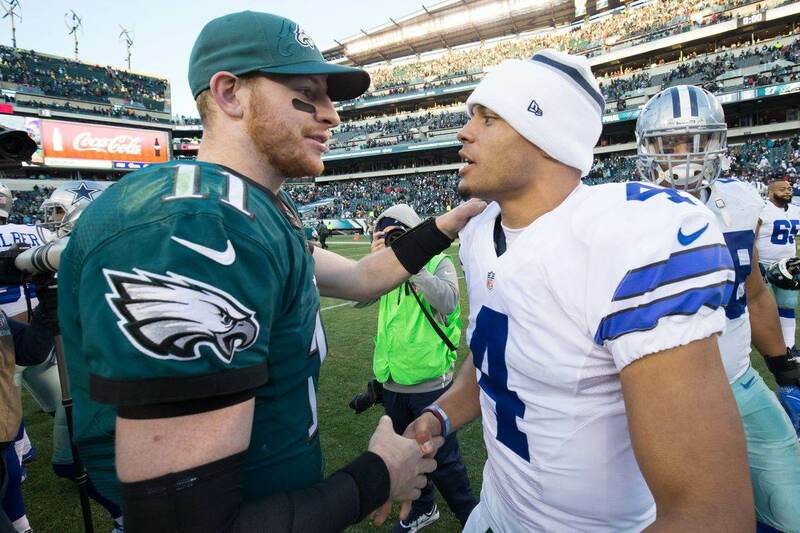 The Cowboys seemingly bold response to needing a retool on offense entering year three for Quarterback Dak Prescott? Release Dez Bryant while seeing Jason Witten retire, drafting Michael Gallup, Dalton Schultz, and Cedrick Wilson to add young talent. Wide receivers Allen Hurns and Deonte Thompson also joined the team through free agency. To outside followers of America's Team, and fantasy football players everywhere, the Cowboys confidence in these unproven pass catchers is stunning. With their starting quarterback already on record saying he doesn't know "if any team really needs a No. 1 receiver," this approach begins to make more sense. Coming from a spread offense at Mississippi State, Prescott wants to get the ball out of his hands quickly to whoever the open man is. With Dez Bryant struggling to create separation ever since Prescott's rookie season in Dallas, the connection was never there like it was for Tony Romo and Bryant. Enter Michael Gallup, who I expect to be the check mark on this to-do list for the Cowboys. With the ability to play as close to a WR1 as Offensive Coordinator Scott Linehan is looking for, Gallup has already impressed in OTAs and should quickly become a reliable target for Prescott. My personal "pet cat" in Wide Receivers Coach Sanjay Lal's room is sixth-round steal Cedrick Wilson, who should also get an opportunity to run out of the slot and create vertical plays. It's easy to blame the Cowboys failures on offense from 2017 on the absences of Ezekiel Elliott and Tyron Smith. Returning both players but losing starters elsewhere, the Cowboys are still committed to the running game with a new approach through the air that's sure to surprise many. Being versatile and deep on offense, if an effort to become less predictable, could actually be exactly what the Cowboys need for 2018. 2. "Find Starting Tight End"
The concept of "replacing" players in sports is always a troublesome one. Especially in the NFL, where roster turnover occurs at an alarming rate (go check out the Cowboys roster from 2014), new players are always going to be asked to handle starting roles. Unfortunately for Dallas, this won't be possible at the tight end position without mention of Jason Witten's Hall of Fame career. Hanging his cleats up after 15 years with the Cowboys, the team scrambled in the fourth round of the draft to land Stanford's Dalton Schultz. The rookie Schultz joins fourth-year Tight End Geoff Swaim, 2017 UDFA Blake Jarwin, and Rico Gathers as the group new TE Coach Doug Nussmeier will have to sort out. Whether or not this will happen before the start of the regular season is already a topic our Staff Writer Jess Haynie covered, with all four tight ends bringing an all-around game to the Cowboys. Swaim being the most proven TE on the roster, it will be up to Schultz and Jarwin to reach the same level of trust as blockers in the running game. Drafted more for his tenacity as a blocker than prowess as a receiver, things could get interesting for the Cowboys at TE with Schultz earning this role and the likes of Jarwin and Gathers being asked to step up as receivers behind. Once again, no fantasy footballer will want to hear this, but the term "starting tight end" could be a very relative one for the Cowboys this season. Already dealing with a steady decline from Jason Witten over the final years of his career, the Cowboys should be excited about watching this young group fight for playing time. 3. "Get Dak Prescott Back on Track"
The first two points on this to-do list cover what needs to happen for Dak Prescott to get back on track pretty well. Playing with a healthy Tyron Smith at left tackle and Ezekiel Elliott in the backfield for 16 games can only help Prescott return to the dynamic form he was at in 2016. Taking the league by storm as a rookie only to see his sophomore campaign derailed by those injuries around him, the pressure has been building around Prescott since the day he earned his star. Never wavering in their commitment to Prescott as their starting quarterback, the Cowboys feel they are in good position to return to the playoffs with him in 2018. This goes without saying, but they really need to be right. Another lost season for Prescott, Elliott, and the Cowboys offensive line could also spell the end for the only play caller Dak has known in Scott Linehan. 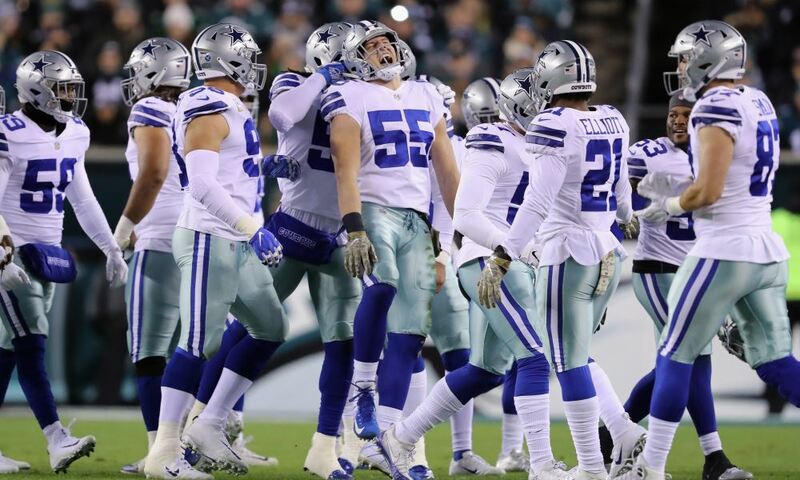 Entering the final year of his rookie contract with one playoff appearance and even more uncertainty on the roster and coaching staff is a worst case scenario for the Dallas Cowboys, and one they must make a collective effort to avoid. 4. 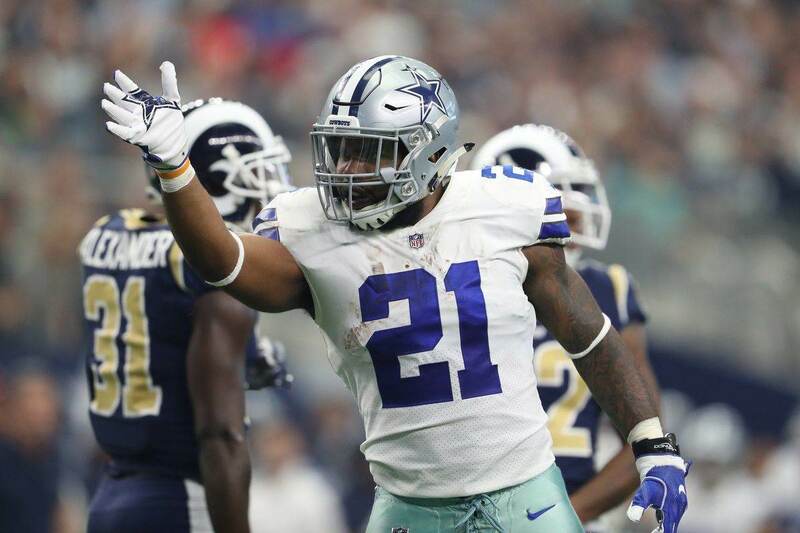 "Keep Ezekiel Elliott Healthy"
Could the answer to most of the Cowboys problems really be as easy as Running Back Ezekiel Elliott? Only losing six of the career 25 games that Elliott has been on the field with Prescott for, there is no more dynamic weapon returning to a team than Zeke for the Cowboys. Keeping Elliott healthy feels like the easiest task that Bleacher Report asks of the Cowboys this offseason. Never missing a game due to injury, Elliott is every-bit the workhorse back the Cowboys needed when drafting him fourth overall in 2016. That draft, and thankfully the 4-12 season that led into it, feels like forever ago. It's time for the Cowboys to win games with Elliott leading the way. The Cowboys approach of controlling games on offense while deploying their well-rested defense to protect the lead is a proven one, and a healthy Elliott will keep it that way this season. The Cowboys have been creative in adding depth behind Elliott this offseason, trading for Tavon Austin and recently re-signing Darius Jackson. Rod Smith remains the favorite to be Elliott's primary backup, as the Cowboys also drafted Bo Scarbrough with their last pick in the seventh round. Committing fully to their ground game is nothing new for Dallas, and this versatility is part of what their more 'open' offense will look like in support of Ezekiel Elliott for the upcoming season. The degree of difficulty for this to-do list is a subjective thing, as Cowboys Nation appears to still be split on not only Prescott's growth as a quarterback but the help he'll have around him. With fans' only current task being waiting impatiently for more meaningful football, the Cowboys offense is going to be built through training camp this summer. With a strong balance of starting positions already filled with blue chip players and others up for grabs (on both sides of the ball), the Cowboys are well equipped to put 2017 behind them and turn heads around the league starting very soon. Tell us what you think about "Understanding Cowboys Remaining Offseason “To-Do List”" in the comments below. You can also email me at Sean.Martin@InsideTheStar.com, or Tweet to me at @SeanMartinNFL! Can WR Cedrick Wilson be the Cowboys Next Deep Threat?